My name is Vince Cullen. I live in the UK but I have been associated with Wat Thamkrabok in Thailand since 1998. I also look after Thamkrabok’s website. A lot has been written in newspapers and magazines saying that the THAMKRABOK MONASTERY claims 65 per cent success rate, or 70 per cent, or even 95 per cent! Thamkrabok does not claim any such “success rates”. What can be said, without any doubt, is that ex-addicts who keep their Sajja – with honesty and integrity – remain 100 per cent intoxicant free. In my opinion and experience, the physical detox provided by Thamkrabok Monastery in Thailand does actually work but this is only the first baby-step on the very long road to recovery. The physical detox at Thamkrabok on it’s own works for a number of people who are already determined to change their life… but for many it simply does not… it is not enough. The Abbot of Thamkrabok will tell you that the Herbal Detox is only 5% of getting well; the other 95% is Sajja. There is a path leading to the unbinding from addiction and the fading away of cravings. I have set out some ideas of what might be helpful to secure a comfortable, long-lasting and happy recovery at http://www.5th-precept.org/html/foundations.html which goes beyond the physical detox at Wat Thamkrabok. Having said all of that, the following information about Thamkrabok (and New Life Foundation) may be useful to you. You should not go to Thamkrabok until you are ABSOLUTELY certain that you truly wish to be free from your addictions and that you are 100 per cent committed to being drug and alcohol free. IMPORTANT NOTE for anyone suffering from ALCOHOL DEPENDENCY : It is a requirement of the Thamkrabok monastery that alcoholics stop drinking, ideally under medical supervision, before travelling to Thailand for treatment. Do I want to travel to Thamkrabok voluntarily, completely of my own choice? Do I really want to stop using drugs and alcohol? Will I stay in treatment for at least the minimum complete whole 7-days? (the recommended stay is 28-days). If you cannot honestly say ”YES” without hesitation to all three questions, then it is better that you wait until you are serious about getting well. As one monk famously said “We want only warriors… victims need not apply”. If you decide to go ahead with the journey to Thamkrabok to take a lifetime Sajja (vow) for drugs and alcohol, this is will be a very ‘black or white’ decision. On the dark side – if you break your Sajja (vow) bad things will continue to happen in your life. The longer you use, the more negative consequences of your addiction will manifest. You will continue to harm your self and those around you that you love. Of course, it may be possible to stabilise your continued use of drugs, if this is the way you want to live, but you will never be truly happy or free of craving. By indulging in drugs and/or alcohol we invariably hurt those whom we love. We cause them harm in many ways including emotionally, financially and sometimes physically. If we continue on our downward spiral into our addictions, our journey to our own personal hell, the realm of the ‘Hungry Ghosts’, we are not only damaging those around us, we are putting our very existence, our very own life, at increasing risk. On the bright side – if you keep your Sajja (vow), good things will start to happen in your life and you will be better prepared to deal with any bad things. 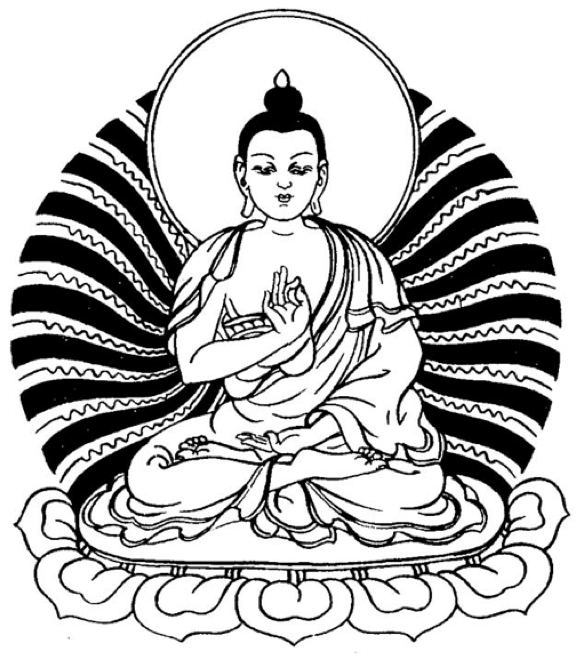 If you adopt the Five Precepts (see http://www.5th-precept.org) and/or the 12-Steps (NA or AA), then you can further reduce the stress and suffering of your past, present and future. The longer you keep your Sajja, the better your life will become. There is life without drugs and alcohol, and it can be a very good life. Look after your Sajja and your Sajja will look after you. It is my experience that after 5 or 6 days of treatment at Thamkrabok, you or more correctly the addict-within-you, may say “I’m cured… It’s a miracle… I’m checking-out to spend a couple of weeks on the beach”. This is the first test of your Sajja and your commitment to a new life. You should stay at Thamkrabok for the full duration. Sit with your loneliness, make friends with your boredom and face your demons. When you are at Thamkrabok make sure that someone, preferably one of the monks, gives meditation lessons as often as possible; ideally every day. If not, then ask Mae Shee Kanticha – (the English nun) – if she can do anything for you. I would also recommend that you attend the monk’s chanting every night. This is not only a lovely thing to do, it also gets you out of ‘The Hey’ (treatment centre) and breaks up your evening. Don’t forget that before, during or after your stay in Thailand you can contact the FOTM online support group at: http://groups.google.com/group/friends-of-thamkrabok-monastery/ where you can get no-holds-barred answers to questions or just share your experiences… but that’s up to you. No one would call Thamkrabok a ‘Holiday Camp’ but neither should you think of it as a prison. Whenever I’m at Thamkrabok – that’s at least once every year – I take the opportunity to renew my Sajja, take the medicine a few times, enjoy the hot herbal steam baths and attend ‘chanting’ every night. I like to think of Thamkrabok as the most exclusive health club in the world; perfect for mind, body and spirit. The answers to some common questions are below but you will also find a lot of helpful information and advice on the http://www.thamkrabok.net website. (1) Join the FOTM support group to connect with ex-addicts who have already made the journey. Also, you may get some help and support from your local Buddhist centers. (2) You should contact her nearest Thai Consulate about VISA requirements depending upon how long you intend to stay in Thailand. You will need your own passport with at least 6-months before expiry but it might be better to just get a new passport that won’t run out while you are away. (3) You should ask your local health center or search the internet for travel vaccination information (this one is for British travellers http://www.fitfortravel.nhs.uk/destinations/asia-%28east%29/thailand.aspx ). Remember, Heb-B vaccination would probably be worth considering. (4) Thamkrabok closes every year from March 15th to May 1st so you can’t get treatment during those dates. (5) There is no waiting list, just let the monastery know that you are coming (particularly if you want the Monastery to send a car to collect you from Bangkok Airport which costs about 2,500 thb). (6) The cost of staying at Thamkrabok is 200thb per day therefore 28 days x 200thb = 5600thb (about US$190) but you might spend less. See item (7) below. For each day of treatment you will give the monastery 200thb (thai baht) in cash when you check-in. Each day the monastery will give you back coupons – “Thamkrabok Money” – worth 200thb so that you can buy your meals, drinks etc. If you do not use all of the coupons you can save them up and change them back into cash at the end of your stay or leave it as a donation… that’s up to you. (8) While in treatment your passport, money, cellphone and other valuables will be kept in the office. (9) Sometimes it is possible to stay at Thamkrabok after treatment, maybe to even ordain as a monk/nun for a while but I would recommend travelling to Chiang Rai to the New Life Foundation recovery community. See http://www.newlifethaifoundation.com where you can stay for up to 6-months. NLF were asking for 600thb (US$20) per day to cover food etc. but that may not be the case any more. You may want to contact them direct in advance. Once you feel fit and well, you may then want to visit Thamkrabok again before you travel home. 1. A Separation from home and family, and all that is familiar. 2. A (sometimes) frightening, difficult, but exhilarating journey, helped along by unexpected hospitality from strangers and help from mystical allies. So you face your vulnerability and break out of many youthful fears and neuroses. 3. Finally, a return home: the traveller apparently the same person, but forever changed. So, chok-dee (Thai = Good Luck) to you for a successful detox and a very long, very happy recovery. Be well and kind regards. who are free of toxic craving.